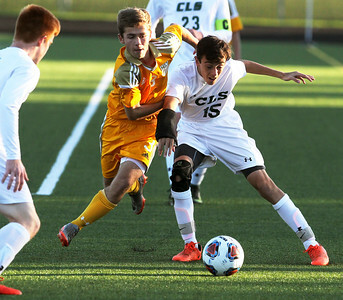 H. Rick Bamman - hbamman@shawmedia.com Crystal Lake South's Nikolas Getzinger bumps the ball infront of Jacobs' Collin Huey in the first period during the IHSA Class 3A soccer Sectional semifinal Wednesday, Oct. 25, 2017 in Streamwood. Jacobs won, 1-0. H. Rick Bamman - hbamman@shawmedia.com Jacobs Noah Melick (left) and Daniel Buirge celebrate Melick's goal in the second periord in the IHSA Class 3A soccer sectional semifinal against Crystal Lake South Wednesday, Oct. 25, 2017 in Streamwood. Jacobs won, 1-0. 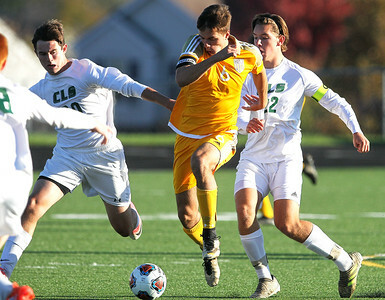 H. Rick Bamman - hbamman@shawmedia.com Crystal Lake South's Alex Canfield (left) defends as Jacobs Gabriel Swarthout (center) and Daniel Buirge head the ball in front of the goal in the IHSA Class 3A soccer sectional semifinal Wednesday, Oct. 25, 2017 in Streamwood. Jacobs won, 1-0. 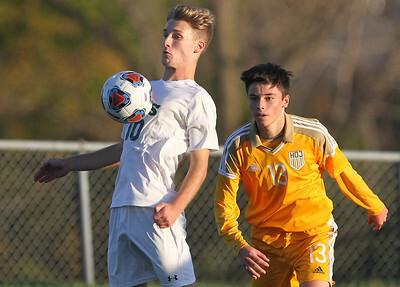 H. Rick Bamman - hbamman@shawmedia.com Jacobs' Noah Melick (center) drives the ball between Crystal Lake South's Colton Weidner (left) and Jack Wruck in the IHSA Class 3A soccer Sectional semifinal Wednesday, Oct. 25, 2017 in Streamwood. Jacobs won, 1-0. 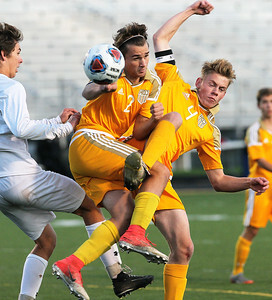 H. Rick Bamman - hbamman@shawmedia.com Jacobs' John O'Connor and Crystal Lake South's Andrew Edge battle in the first period in the IHSA Class 3A soccer sectional semifinal Wednesday, Oct. 25, 2017 in Streamwood. Jacobs won, 1-0. 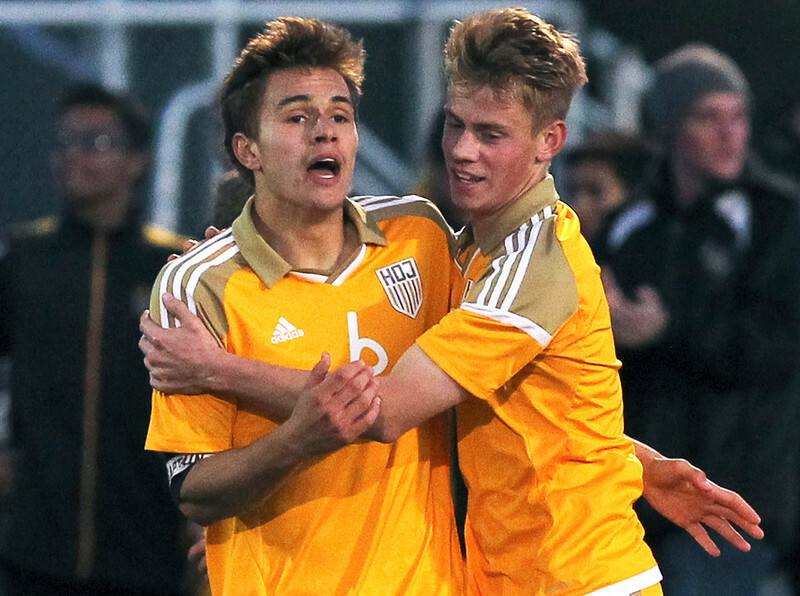 Jacobs Noah Melick (left) and Daniel Buirge celebrate Melick's goal in the second periord in the IHSA Class 3A soccer sectional semifinal against Crystal Lake South Wednesday, Oct. 25, 2017 in Streamwood. Jacobs won, 1-0.